5.30pm - 7pm. June 13th 2016. 5.30pm – Show opens. Phil starts with a message about Orlando. 5.32pm – Xbox Slim shown off. Starting August at $299. 5.35pm – Rod Ferguson talks about “Play Anywhere”, Cross Buy/Play. Every co-op mode on Gears will be cross play. Horde Mode announced. 5.37pm – Gears Campaign gameplay shown. Marcus is shown at the end along with a Gears Elite controller. 5.45pm – Killer Instinct talk. Gerneral Ramm coming to KI. 5.47pm – Forza Horizon 3 trailer shown. 4 player Gameplay demo with 4 player drop-in campaign gameplay. Out 27th September. 5.52pm – Recore trailer shown. 5.54pm – Final Fantasy 15 Gameplay demo. Out 30th Sep.
6pm – The Division: Underground trailer. Out 1st on Xbox One on 28th June. 6.01pm – Battlefield 1 talk. Out 13th October on EA Access, 21st Oct for everyone else. Old trailer shown. 6.03pm – Mike Ybarra chat. More Xbox Live servers, Background music, Cortana this summer. This Fall has Clubs, Looking for Group & Arena announced. 6.07pm – Minecraft chat. Cross platform play between Win10, Gear VR & IOS/Android announced. Dedicated Servers announced. 6.14pm – New Wireless Controller shown with 8 million versions. Design your own. 6.15pm – Inside trailer. Out 29th June. Limbo now free on XB1. ID@Xbox trailer. Ark on XB1 buyers will get Win 10 versions for free. More games coming to Game Preview. We Happy Few gameplay shown, timed exclusive, out on Game Preview on 26th July. 6.25pm – Gwent card game shown. Out September. 6.27pm – Teken 7 out early 2017. Gameplay demo & chat. 6.31pm – Dead Rising 4 trailer. Out on XB1/Win 10 Holiday 2016. 6.33pm - Scalebound co-op demo. 6.40pm – Sea of Thieves trailer. Gameplay demo. 6.46pm – State of Decay 2 trailer. 6.48pm – Halo wars CGI trailer. Out 21st Feb. Beta out now until 20th June. Gameplay trailer. 6.53pm – Phil sums up. 4K Gaming, 6 Teraflops GPU power, 8 CPU cores. Project Scorpio. Out next year. All games & accessories will be playable on Xbox 1/Xbox S & Scorpio. Today, we’re excited to announce that the Xbox E3 2016 Briefing will take place Monday, June 13, beginning at 5:30 p.m. BST. During the briefing, you’ll have a chance to check out everything from in-depth looks at previously-announced games to trailers for our unannounced titles coming in 2016 and beyond. You can watch the Xbox E3 2016 Briefing live beginning at 5:30 p.m. BST on June 13 on Xbox.com, the Xbox Twitch Channel, via the Xbox Live Events Player on Xbox One and Xbox 360 consoles, or on the big screen at your local Microsoft store. 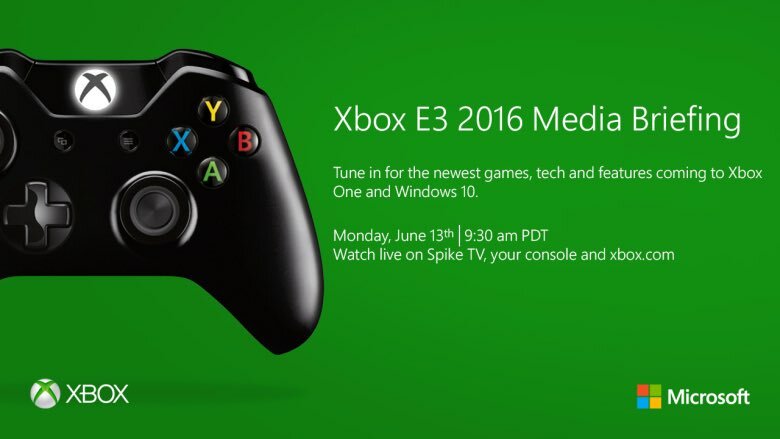 You can also watch the Xbox E3 2016 Briefing on Spike TV in the U.S. and Canada at 5:30 p.m. BST. For more Xbox news at E3, we’re also happy to share that we’ll be bringing back Xbox Daily: LIVE @ E3, our live news show that covers all things Xbox at E3 – from breaking news and exclusive announcements to trailer reveals and interviews with game creators. 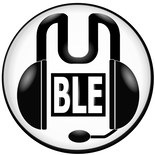 The one-hour show will be hosted by Larry Hryb, Xbox Live’s Major Nelson, and Graeme Boyd, Xbox Live’s Acey Bongos, and will include a variety of guest stars and prominent industry figures. Xbox Daily: LIVE @ E3 will air on Tuesday, June 14 and Wednesday, June 15 from Midnight-1am. BST, and can be streamed live on Xbox One, on Xbox.com (both on your desktop and on mobile), on Xbox 360, and on the Xbox Twitch Channel. Each show will also have interactive experiences created just for fans watching live on Xbox One. This year, Xbox is partnering with Twitch to bring gaming fans wall-to-wall coverage of the entire week of E3. Go behind the scenes, catch the latest announcements, and watch the best Xbox games in real-time. You’ll be able to watch everything on the Xbox Twitch channel from 8 p.m. to midnight BST on Tuesday, June 14, from 6 p.m. midnight BST on Wednesday, June 15, and from 6 p.m. to 1 a.m. BST on Thursday, June 16. You’ll also be able to catch an Xbox Briefing Post-Show Special with Geoff Keighley and other surprise guests on the YouTube Live @ E3 show. The dedicated 30-minute Xbox show kicks off Monday, June 13 at midnight BST and will break down and dive deeper into some of the hottest news coming out of our briefing. The Halo Wars 2 team is anxiously gearing up for E3, where the game will indeed be playable. There’s also – well, I can’t talk about more just yet. Is there a new Forza Horizon game coming this year? The event is set to take place at LA's Petersen Automotive Museum during the afternoon of Monday, June 13, just hours after its E3 press conference earlier that morning. Fans attending Microsoft's E3 FanFest are all invited, with the event expected to celebrate the announcement of the next Forza title. Microsoft announced back in March that it would be revealing "the next Forza game" at this year's E3, and confirmed the Lamborghini Centenario as the game's cover car. State of Decay 2 - Devs say they won't be at E3. I'll update the thread nearer the time. Last edited by Monkey Man on Tue Jun 14, 2016 9:22 am, edited 20 times in total. Buffalo wrote: You have got to be joking. 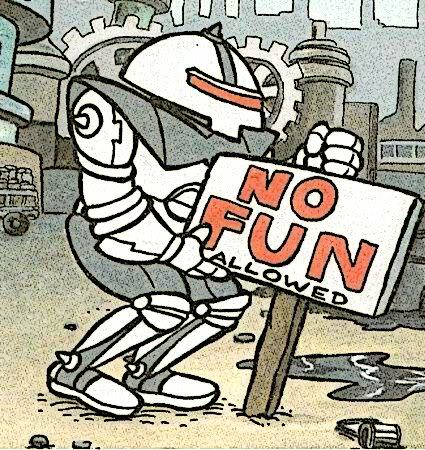 Why are you so against people being excited about E3? Buy a calendar. It's kicking on 6 weeks away. Do me a favour. Buffalo wrote: Buy a calendar. It's kicking on 6 weeks away. Do me a favour. Oh no, people getting slightly excited about the most important gaming convention of the year on a games forum 6 weeks early. I don't know if you've noticed, but we're a gaming forum. Lighten the strawberry float up. Somebody Else's Problem wrote: Lighten the strawberry float up. People should really stop buying irony meters filled with C4. Some might say this is all part of the E3 "adventure". Is it starting at 5 pm or am? As it says 5 ap.m. Pedz wrote: Is it starting at 5 pm or am? As it says 5 ap.m. What says 5 ap.m.? The graphic at top of page says 9.30am PDT - 5:30pm here, pretty much same time as every MS conference at E3. I didn't look at the graphic, I swear it was ap.m. in the text. Pedz wrote: I didn't look at the graphic, I swear it was ap.m. in the text. You've gone crazy, time to see a Dr. I changed it, thanks for pointing it out. It may be six weeks to the actual conference but we all know they'll be leaks, rumours as well as official announcements from Devs & MS in the meantime. The E3 2016 adventure begins. If there was a Nintendo E3 event thread up already there'd be no complaints. Trelliz wrote: If there was a Nintendo E3 event thread up already there'd be no complaints.